Nature and history come together at Rosario Beach. 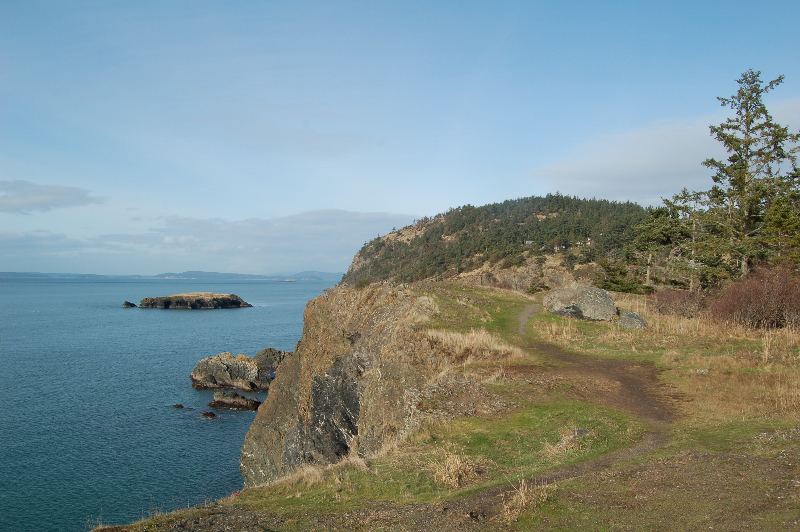 In this small cove on the southwestern corner of Fidalgo Island you’ll find sandy beaches, centuries old trees that provide perches for bald eagles, and a meadowy bluff that comes to life with wildflowers in the spring. 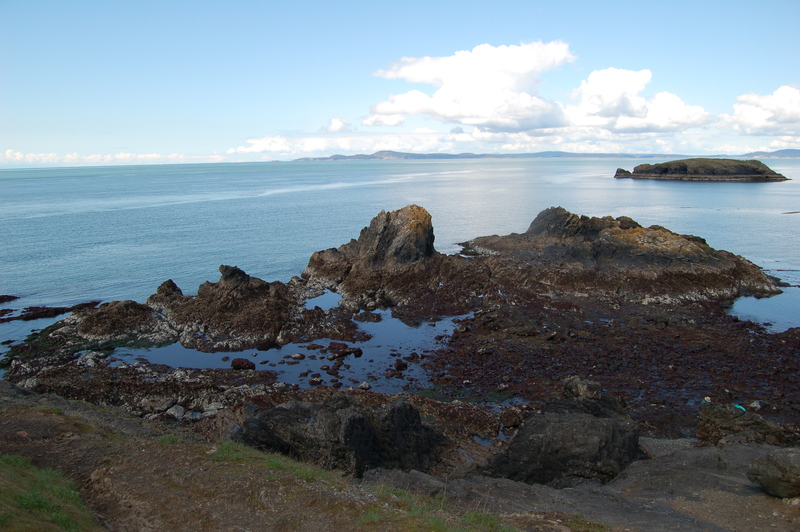 Rosario’s most captivating natural features, however, can be found in the water: Pods of orcas and porpoises, and even an occasional gray whale, can be seen swimming through Rosario Straight to the west. 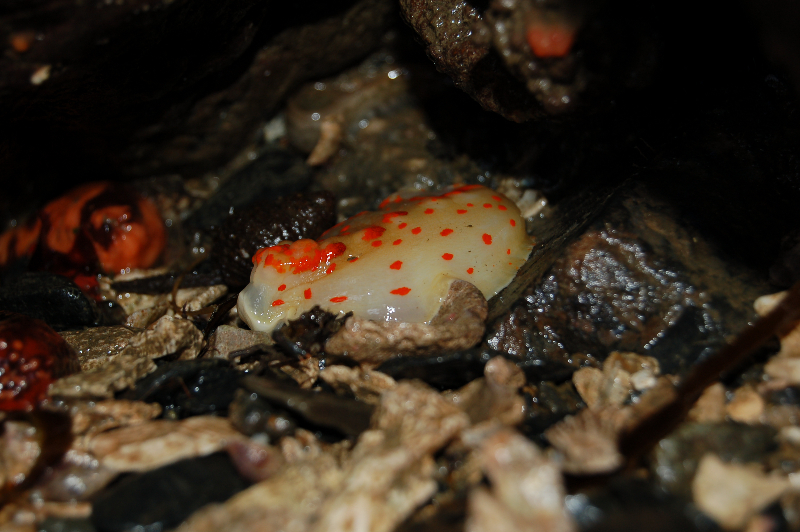 And, when the tides recede, an impressive diversity of life can be found clinging to the rocks in the harsh intertidal zone. The first humans at Rosario were members of the Samish, a Coast Salish Native American tribe that has been present in this region for the past 3,000 years. They relied on the forests and ocean for subsistence. 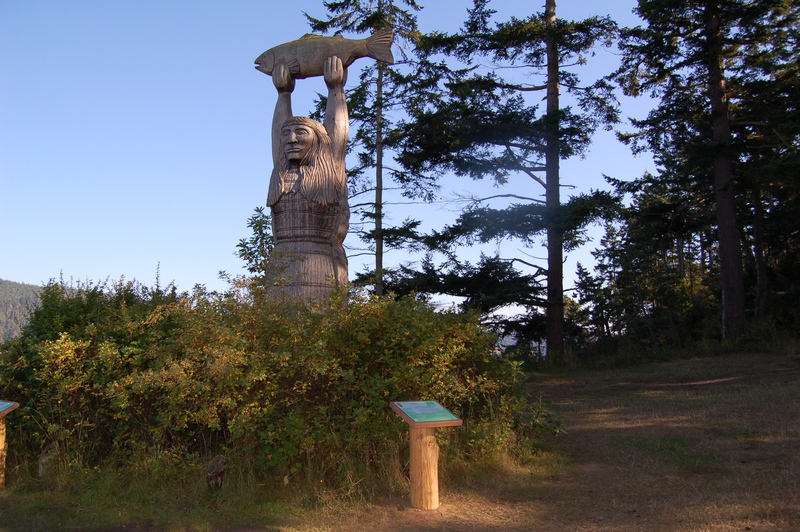 The Maiden of Deception Pass story pole carving is based on a Samish legend. 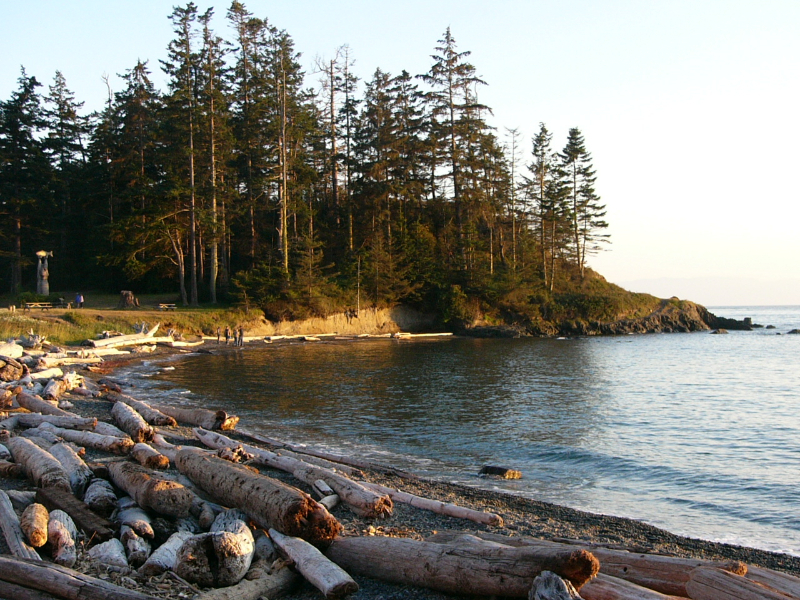 In the 1930s, members of the Civilian Conservations Corps developed this area as part of Deception Pass State Park. 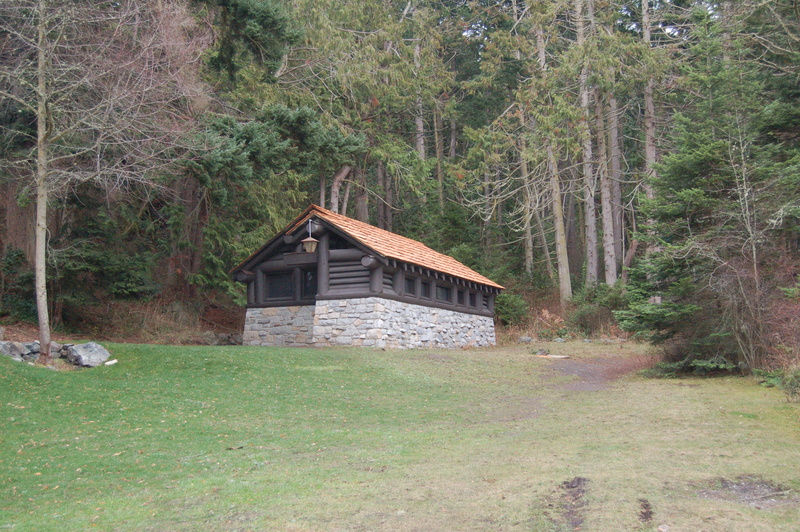 They built the large rustic kitchen shelter and a restroom that has since been converted into a field classroom. Rosario’s sweeping sandy beaches and tide pools are among it’s most popular features. Bowman Bay is a short hike away. 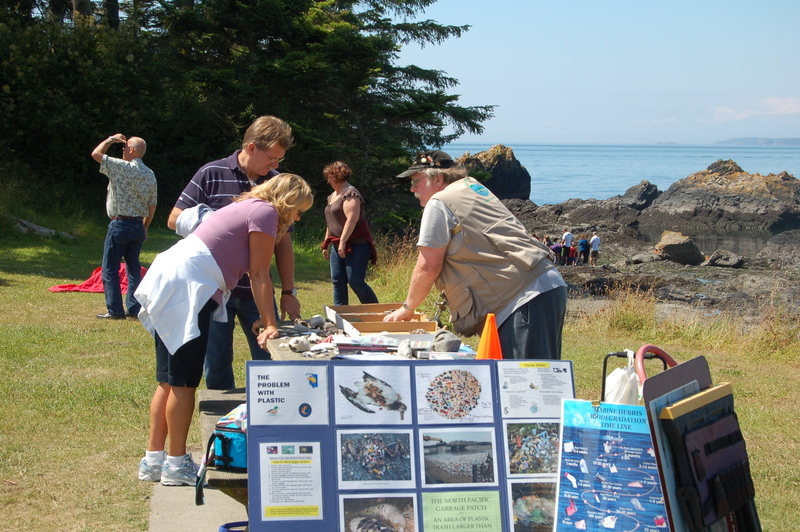 Download the Tide Pool Discovery Hunt Page 1 and Page 2 and complete it during your visit to Rosario Beach!